December sees yet another awesome addition to LittleBigPlanet 2 — the Cross-Controller Pack — making LittleBigPlanet 2 the first game to support this exciting new feature! But what is Cross-Controller? Well, Cross-Controller lets you to use PS Vita as a controller for PlayStation 3, allowing the use of PS Vita-only features, like front and rear touch, in PlayStation 3 games. More importantly, it provides a whole second screen where action can take place! This allows for an unimaginable number of new ways to play, some of which you’ll experience with the LittleBigPlanet 2 Cross-Controller Pack! In the LittleBigPlanet 2: Cross-Controller Pack, Sackboy joins up with a group of lovable Space Pirates as they race to find a valuable treasure long thought lost to the Cosmos. 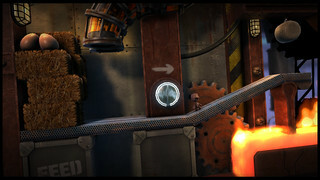 On their adventure they’ll encounter new obstacles that can only be overcome with the help of PS Vita’s unique features. As well as a new adventure for Sackboy to take part in, players can get their hands on a suite of new tools that let them create Cross-Controller levels for the community to play. The LittleBigPlanet 2: Cross-Controller Pack will be available via download on PSN Tuesday, December 18th for $4.99, and requires a PlayStation 3, a copy of LittleBigPlanet 2 and a PS Vita. Was not expecting it till next year! AWESOME! I was actually wondering when this will show up a few days ago…NICE!!! cant wait! sounds cool …. lots of folks will be excited for this & also wanted to say thanks for the Karting Beta vest yesterday ! appreciate that …. No problem, thanks for beta testing LittleBigPlanet Karting! I just wish we had room to invite so many more people to these tests! Well that was unexpected. Awesome! I’ve been looking forward to this ever since it was demoed. Me too! I can’t wait to see what the community can create with these brand new tools and features! @johnnyblades, is that wishful thinking, or are you announcing that? 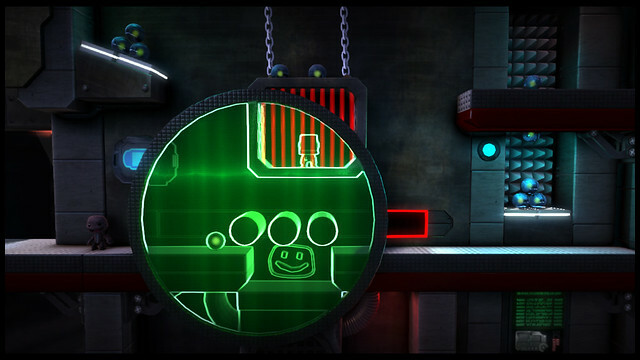 There are 7 brand new Trophies and 13 new Pins for LittleBigPlanet 2: Cross-Controller. This feature is required to install LBP2 data for PS Vita? or only stream to vita? You will have to install some data on to your PlayStation Vita, which you will be instructed to do so when you first load up Cross-Controller on LittleBigPlanet 2 on your PlayStation 3 for the first time. Awesome!!!!! Cross-controller can bring a better level of gaming. MORE PS3 GAME NEED TO OFFER THIS FEATURE!!!!!!! I’ve been waiting for this since it was announced. I have yet to be disappointed with anything littlebigplanet and I’m sure this will be amazing. Thanks to all of you for creating good products. I hope more companies will follow and implement this functionality in games to come. Steven, can you help me understand how this works? I get the pack, pop in LBP2 on my PS3, and then how do I get my Vita to connect to it? What’s running on the Vita side to get this to work? Is it some form of Remote Play? Is it using the full resolution (960×544) of the Vita (which Remote Play doesn’t seem to do, and is limited to the PSP resolution of 480 × 272)? Do you need LBP2 for Vita? 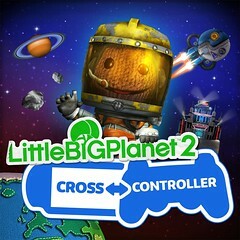 The LittleBigPlanet 2: Cross-Controller DLC will require a copy of LittleBigPlanet 2 and a PlayStation 3 to play. You will need a PlayStation Vita to be able to use the Vita exclusive features that are being added with the LittleBigPlanet 2: Cross-Controller DLC. Throw those of us with LBP2, LBP Vita, and PS+ a bone! Awesome news, I can’t wait. Is there some sort of co-op component to this, with one person playing on the PS3 and one on the Vita, or is this single player content? LittleBigPlanet 2: Cross-Controller will be a fully multiplayer experience, however you will require at least one player in your online group to have a PlayStation Vita to be able to access and play the new story. As per usual, any items collected by the group are given to all of the players currently in the level. Can we expect Cross Controller for more titles in the future? Maybe even making its support mandatory? Yes!, I have definitely been waiting for this since E3. I don’t have a vita, but my friend does, can we play this pack like that Scenario. You could play like that with the move pack DLC, but I have the Move so I never worried about it. Yes, that’s exactly how LittleBigPlanet 2: Cross-Controller is designed to work. Only one player requires a PlayStation Vita to be able to play the story as a group. I ordered my game on Amazon UK but they shipped a US version of the game. I had no idea until I tried to buy a costume in the UK PSN account and it never showed up in the game that I realized that DLC from my UK account/PSN will not work with a US disc. @15 LBP 2 came out before Vita existed. @13 You still play Doutee? I’m done with PSASBR so I will definitely be picking this up for the crossplatform play with my brother. Didn’t expect this to be paid dlc though. Will this allow me to connect with my brother on his ps3? Or is it just confined to using the vita as a controller. Can I atleast input the vita as a player 2 controller instead of the player 1 controller? Ooh, I can’t wait! I’ve been so excited at the idea of using my PS Vita as a PS3 controller. This will be great! Thanks for the update! This is a full add-on for LittleBigPlanet 2, which will give you a new story, levels, tools, features and all manner of other fun goodies to play with and collect! All of the add-on’s data will be downloaded with the upcoming Game Update for LittleBigPlanet 2, which will be released before the Cross-Controller DLC is released and then transferred from your PlayStation 3 to your PlayStation Vita during your first play of the Cross-Controller DLC. @ 26 I think the cross control update is free like the Playstion Move update. Could not be more excited for this! AMAZING!!! @30 But it says its 4.99. I don’t mind putting in the $5 but I just want to be sure that cross platform might be supported now? Like how WipEout HD on 2048 can connect to wipeout HD servers. 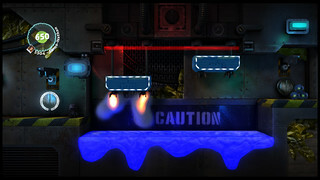 I want to play LBP vita without connecting to the PS3 in any way, but can join up with my brother in LBP2. It would kinda stagnate the LBP vita community if that happens (I doubt it will happen since most of the LBP2 levels might not be compatible with vita). If it does, that would be mind boggling cool. First and only cross controller game. @37 Wii U isn’t a game. Or a portable. How many levels is this coming with? Will there be a patch alongside this, so we can play the levels people make using the DLC, or will it be required? Of course! If you have a PlayStation Vita, you will be able to play any new levels published by the community that use the PlayStation Vita’s exciting features! Does this mean that I don’t have to worry about disappearing from the screen when my co-op buddy accidentally leaves me behind? Why do you deserve this for free?? They put a bunch of work into creating a totally new way of playing the game + new story missions to show off these new tools, and I think $4.99 is pretty darn reasonable for that. This is why I finally got a vita in october been anxiously awaiting ever since. Was expecting $10-$15 so nice surprise there, cant wait to get my hands on it.